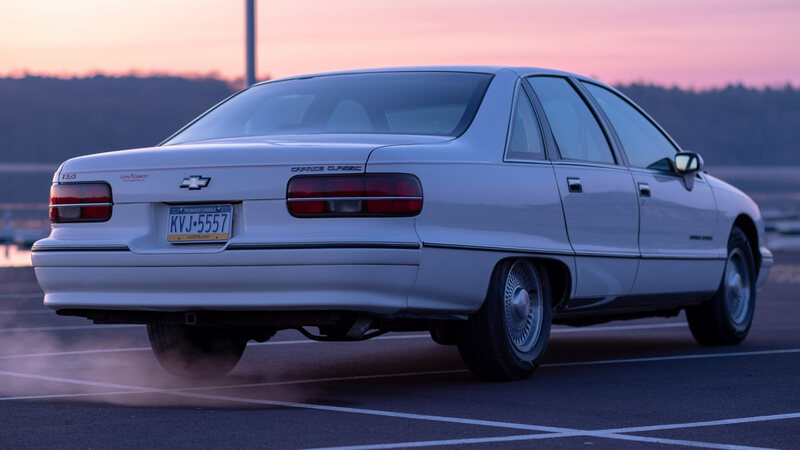 The fourth-generation Chevrolet Caprice became iconic as a police fleet service vehicle, and this is your chance to own an underrated modern classic. 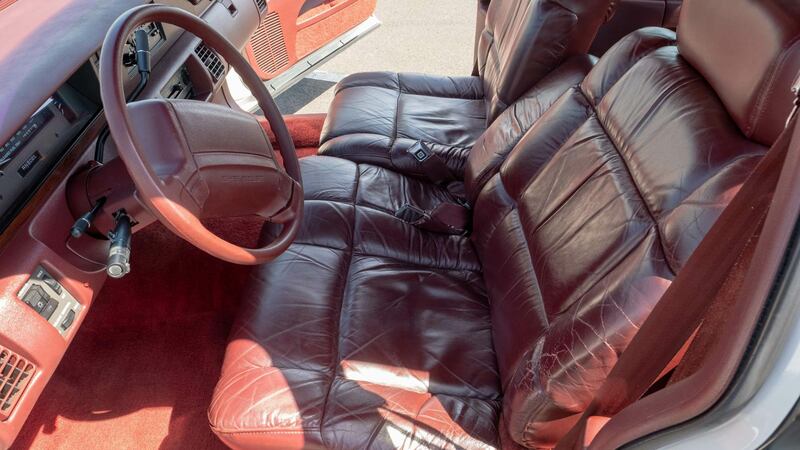 Currently for sale by auction on Bring a Trailer, the deep red leather interior of this car gives away the fact it did not actually undertake police duty itself. However, it does have an interesting history, and is more than capable of provoking debate about which is the best American police car. Bought new from John Kennedy Chevrolet in Pennsylvania, this car stayed with the original owner until he passed away. 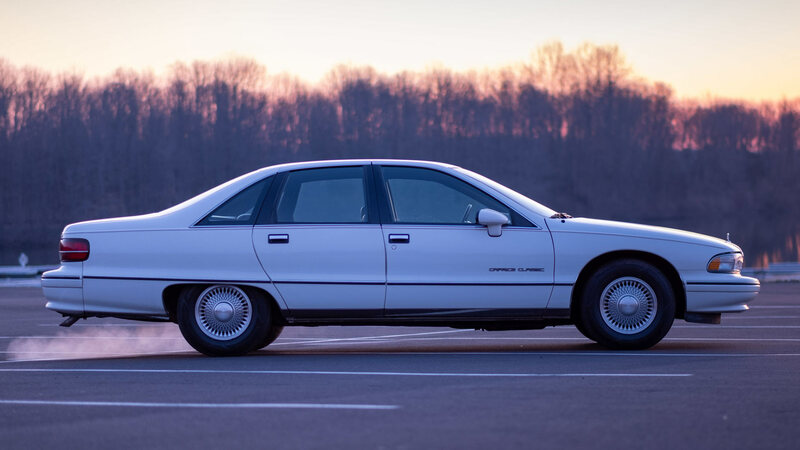 A metal plaque inside the glovebox bears his name, and serves as a reminder that someone will have been genuinely thrilled to have taken delivery of this big sedan back in 1991. The original window sticker from the sale has been preserved, showing the total price of $22,391 paid to the dealership. The first owner didn’t skimp on options, with boxes for a limited-slip differential and trailering package ticked. Try not to get too excited about performance ideas though. 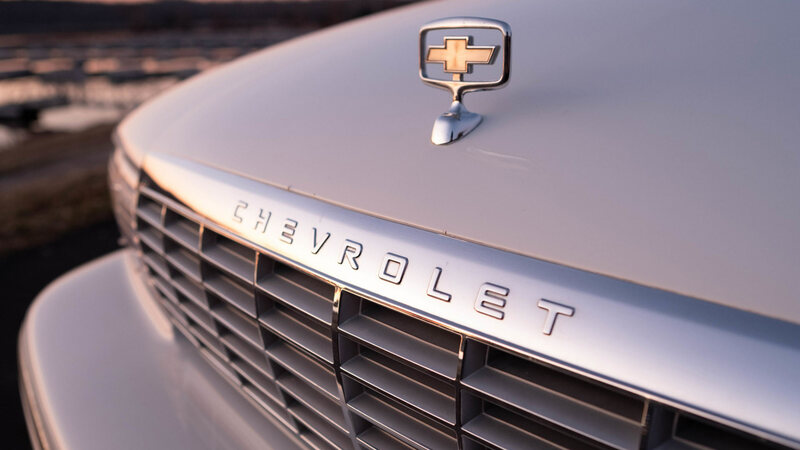 Power comes from the 5.0-liter L03 small-block Chevrolet V-8 engine, meaning an output of 170 horsepower and 255 lb-ft of torque. True Caprice Classic police vehicles, fitted with the 9C1 option package, would feature the 5.7-liter L05 V-8 unit, producing 195 horsepower instead. Later facelifted cars would gain even more performance, with the 250 horsepower LT1 engine offered from 1994 onwards. A four-speed automatic transmission drives the rear wheels, and is likely to make for relaxed progress as the Caprice soaks up the bumps. Given that the front seats bear more than a passing resemblance to a leather couch, calm cruising is probably the best approach to take here. Having covered some 66,000 miles, the Caprice does seem to show a small amount of wear to the maroon leather. The seller has also noted that the original Delco radio buzzes, and that one of the rear power doors has failed. The outside features some minor dents and paint abrasions, but otherwise looks clean for a car approaching its third decade. Although some unkindly referred to the Caprice as looking like a ‘beached whale’ when first launched, the skirted rear fenders certainly give it a distinctive look. The 15-inch alloy wheels are also original, although without their white wall rubber. The seller made a serious effort to capture the Caprice at its best, suffering a cold early morning photoshoot for the impressive lighting. It seems to have been worth the effort, with some of the pictures looking like outtakes from an official Chevrolet brochure. In fact with more than 140 pictures, and a 38-minute video, there is no stone left unturned for the automotive detective here. 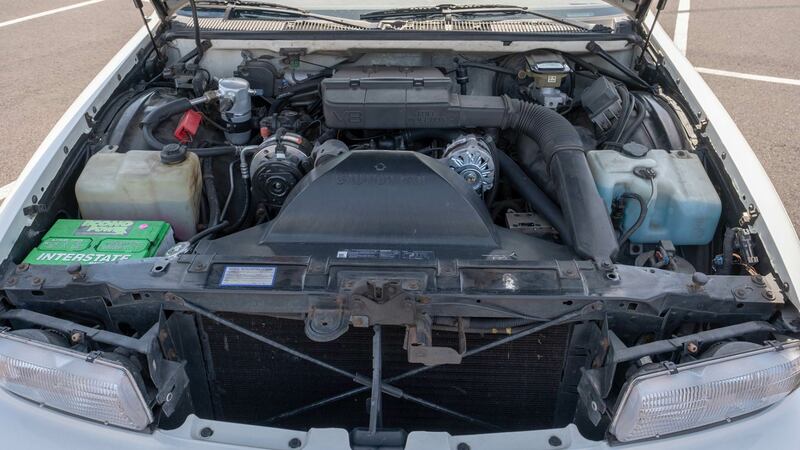 Since buying the car in October 2018, the seller has invested in maintenance, spending more than $4,000 on parts and servicing for the Caprice. Whilst it may not be the most stereotypical classic car to buy, this Caprice has certainly got people talking on Bring a Trailer, with stories of police officers protected in accidents by the strength of the body-on-frame construction. 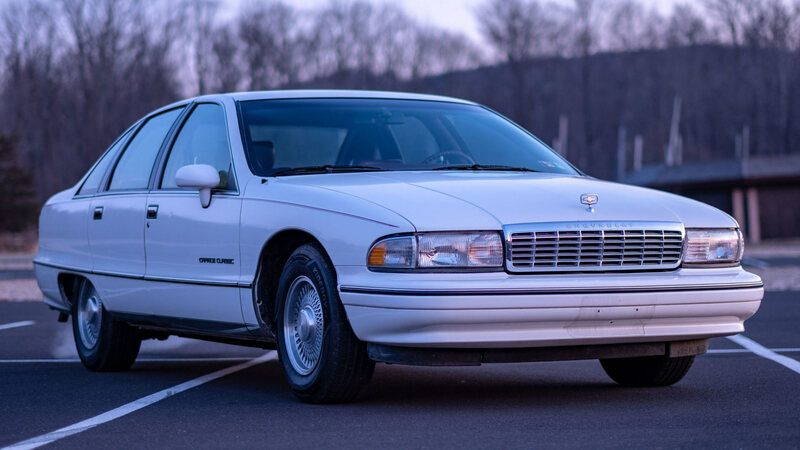 It could make for an interesting alternative to the more common Ford Crown Victoria at summer car shows, or simply allow some laid back V-8 cruising. Helping seal the deal is the opportunity to buy the car which took home Motor Trend’s prestigious ‘Car of the Year’ award when new in 1991. Those interested have until Tuesday April 16th to get their bids in, leaving time to source those mirrored sunglasses and stick-on moustache for the full cop effect.